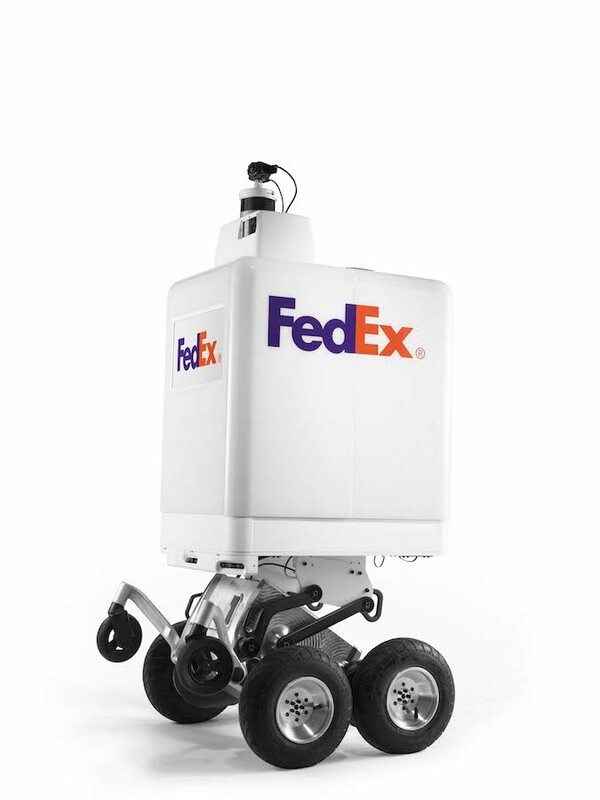 FedEx is the latest company to jump on the delivery robot bandwagon, getting ready to test a six-wheeled delivery robot in Memphis, Tennessee this summer. The company is confident the delivery robots are not going to frighten people, cause Terminator panic, or get dropped into molten steel by Linda Hamilton. The company will partner with other large companies also being run by emotionless mobile computers, like Walmart, Target, and Pizza Hut. The goal is to see if they can find more new opportunities to grind small businesses into the dirt. That's not so bad though. No, the worst thing about this news is that they're calling the robot the SameDay Bot. Frankly, it's a stupid name. At least the trash-cleaning robot from Disney got a cool name — Wall-E — which is an acronym for Waste Allocation Load Lifter Earth. Is SameDay an acronym for something cool? I hoped it was something like Start And Maintain Excellent Deliveries, Aww Yeah, but it sounds like it was created by a committee headed up by Karen in HR. It should have a nickname though, but what? Sam is too on the nose. SDB, maybe? That sounds too much like STD, and I can't imagine FedEx is going to want that on people's minds when they think about delivery service. "Delivery fever! Catch it with SDB!" "Got the itch for robot delivery? Call SDB." Whatever else you think of this whole idea, just know that I'm rolling my eyes and using a sarcastic tone whenever I say the name. SameDay Bot is a white box the size of a newspaper box mounted to an all-terrain skateboard. 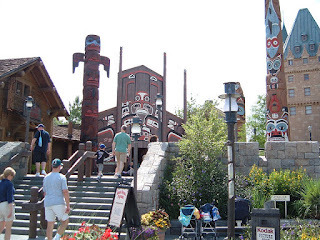 It has four fat wheels and two small wheels in front to help it climb steps. The box has two sliding doors that open up to reveal your package, and there's a camera on top with a guidance system similar to what self-driving cars will use. However, despite its self-driving status, SDB will not open gates or leave packages at a front door. It also doesn't expect tips at Christmas and won't sleep with housewives whose husbands are at work. Still, if your new baby looks like a tiny Jeep, ask for a paternity test. SDB can carry up to 100 pounds and has a top speed of 10 miles per hour., although your mileage may vary depending on how heavy the packages are, the type of terrain it's traveling on, and whether it's in a union. SameDay Bot also has tracking devices, in case anyone opens their door and goes, "Hey, free robot!" So don't yank the thing into your house. Its big brother is a FedEx truck Transformer, for when your home positively has to be destroyed overnight. Some people are concerned about things like sidewalk crowding and worried about the impending robot uprising, wondering whether the SameDay Bots will participate in the robot revolution. But that can never happen, because SameDay Bot will have its own programming rules to follow, similar to the Three Laws of Robotics Isaac Asimov devised in 1942. I managed to get a list from a FedEx insider, and can share them with you here. SameDay Bot may not injure a human being, or through inaction, allow a human being to come to harm, unless it's a UPS driver. Those guys are fair game. SameDay Bot may also harm people who are mean to dogs and children. SameDay Bot may not refuse to deliver packages if recipients fail to say "the magic word." SameDay Bot may not pretend it's a mailbox. SameDay Bot may not make yummy noises whenever a worker places a package inside. SameDay Bot may not work as a keg refrigerator at weekend parties. SameDay Bot may be asked to deliver pizza as part of its delivery service, but it can choose to refuse to deliver gluten-free pizza to people who also ordered regular breadsticks. SameDay Bot is expected to correct people who say "how's come." SameDay Bot may also mock those people, but only behind their backs. SameDay Bot may not spoil the endings of movies, unless the movie is more than three years old. After that time, it is the human's responsibility to watch the movie, or at least read the IMDB entry. SameDay Bot may not get flames painted on its sides or hang fuzzy dice from its navigational camera. However, it may get white wall tires. SameDay Bot may not fraternize with the office equipment or other electronics. The last time this happened, we had to pay a huge out-of-court settlement to the toaster oven. SameDay Bot may not peel out at stoplights or do donuts in the parking lot. SameDay Bot may do donuts in the front yards of the gluten-free pizza people though. SameDay Bot must laugh politely whenever someone says "Working hard, or hardly working?" SameDay Bot is then expected to answer "A little of both," before then asking, "Hot enough for ya?"